That’s the headline for MikroTik’s announcement of their new switch, the RB260GS. The addition of an SFP cage for fiber connections is what makes this low cost managed switch special. The original RB250G received some early bad reviews due to bugs in the release software but after an upgrade we have found these little switches to be very stable and really useful. The addition of the SFP port means these switches will be great for interconnecting buildings at Gigabit speeds without the fear of floating grounds or port burnout as seen using copper conductors. Don’t let the RB751 style case fool you, this is definitely a switch, not a router and it handles 802.1Q VLANs with ease. You spoke and KamFab listened! Tower climbers have been asking for an outdoor enclosure for MikroTik boards that would accept large boards like the RB800. KamFab listened and created the 291SL, an all aluminum weatherproof enclosure that will accept the largest MikroTik RouterBOARDS with extra room for radio cards, pigtails, and even a mounting pad for a surge suppressor! The aluminum box will not rust and you won’t break your back pulling it up the tower. More than one vendor has produced aftermarket rack mount enclosures for MikroTik Routerboards to solve the need for an enterprise routing solution and now MikroTik has filled the void with a preconfigured solution in a 1 U form factor. The RB2011-RM comes in several different flavors, with and without the LCD screen and looks great in any rack. One negative attribute we have noticed is that the power supply is attached in a semi-permanent manner. The goal of the design is to prevent the power cable from being accidentally knocked out of the connector but it does make it difficult to handle and it looks strange. That is our only criticism of this well finished rack mount solution. Although there has yet to be a formal announcement, we recently saw a new page appear on the wiki. The page describes a new feature, Wireless Controller. Wireless Controller feature allows you to centralize wireless network management and data processing. When using the Wireless Controller (WLC) feature, a network consists of a number of Access Points (AP’s) that provide wireless connectivity and a Controller that manages AP configuration and takes care of client authentication and data forwarding. When an AP is controlled by the WLC it only requires configuration that allows it to establish connection with controller. Functions that were conventionally executed by the AP (like access control, client authentication, data forwarding) are now executed by WLC. The AP now merely takes care of wireless link layer encryption/decryption and forwards all data it receives from clients to the WLC over a data connection. This simplifies new AP deployment and control over multiple APs. Could this be a competitor for UniFi? I am sure you, like many, have been waiting for some Ubiquiti items that have been out of stock for quite some time. 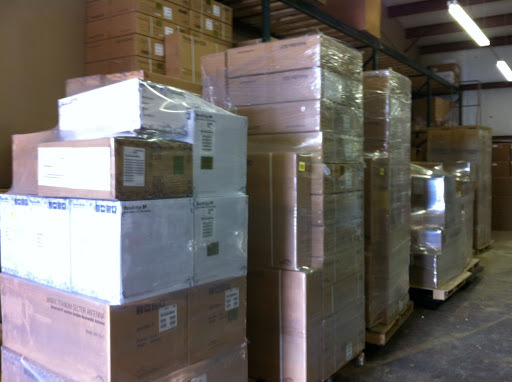 Today the truck arrived with our shipment and these orders will be going out immediately. Need 5G-25’s or Rocket Dish antennas? Come get them now at https://www.ispsupplies.com.